Wymondham High Academy is based in Wymondham in Norfolk. The academy caters for more than 1600 students aged between eleven and eighteen. 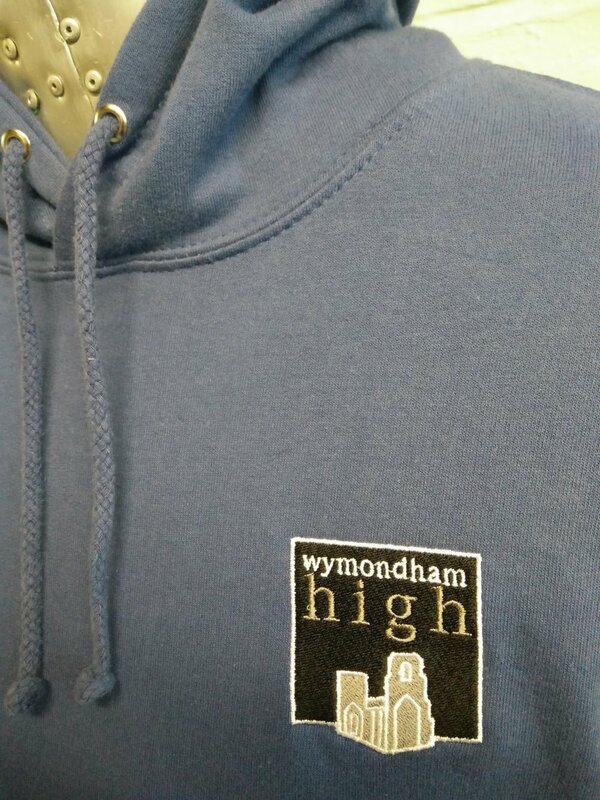 We love the school logo for Wymondham High Academy and think that it looks great embroidered to the left of the front of the academy’s leavers hoodies. 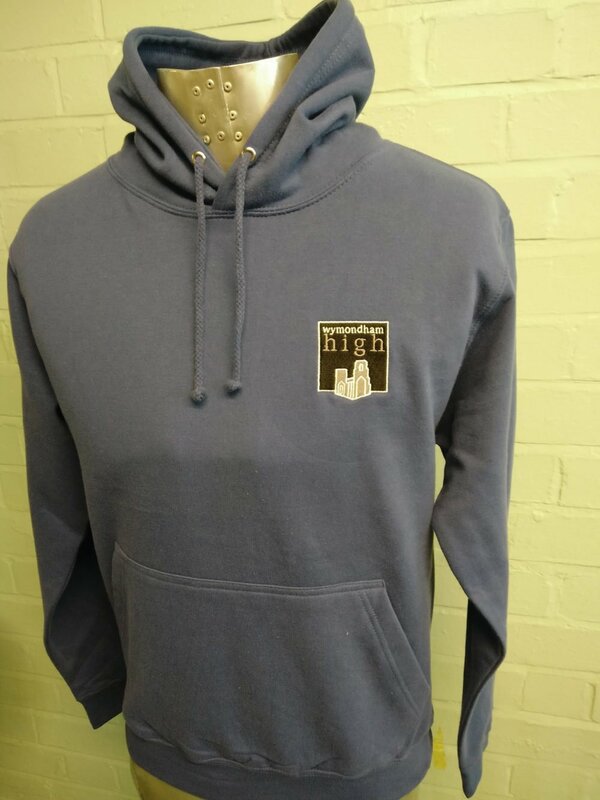 The hoodie is made of a very similar blue to the one used by the academy in its school uniform, which will hopefully carry a touch of nostalgia with it, whenever the class of 2016 leavers wear their hoodies. As with all of our leavers hoodies, personalisation is an extremely popular feature. Wymondham High Academy has chosen to include the words ‘Wymondham Leavers’ beneath the names of the class of 2016 leavers, on the back of each leavers hoodie. 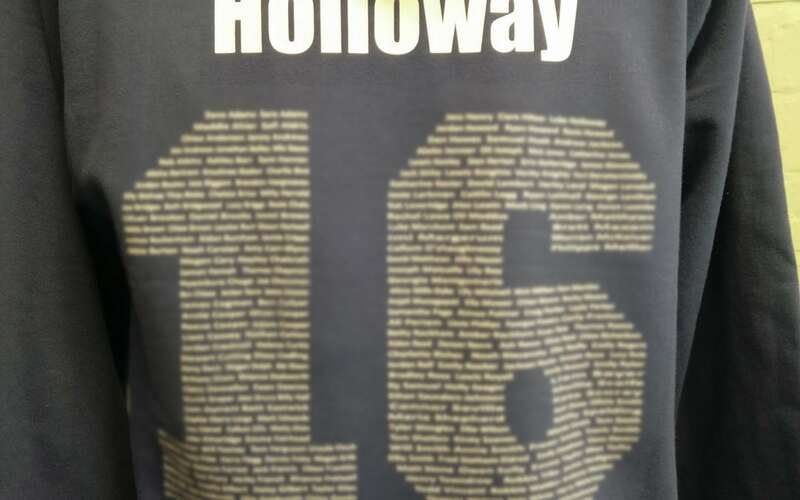 To personalise each leavers hoodie to individual students, the space at the top of the back of the hoodie includes an individual student name. For more options of how to personalise a leavers hoodie, take a look around our website, or give us a call – we’re always happy to help!